AP invoice management and payments. The easiest expense report system for employees provides powerful tools for accounting. Certify saves time, money, and headaches! See how your company's T&E spending stacks up against the benchmark average for more than 30 million expenses and receipts. have to create an expense report again! Just review, submit, and you're done! Certify ReportExecutive™ ensures that you never have to create an expense report again! rentals, plus get credit for unused tickets. 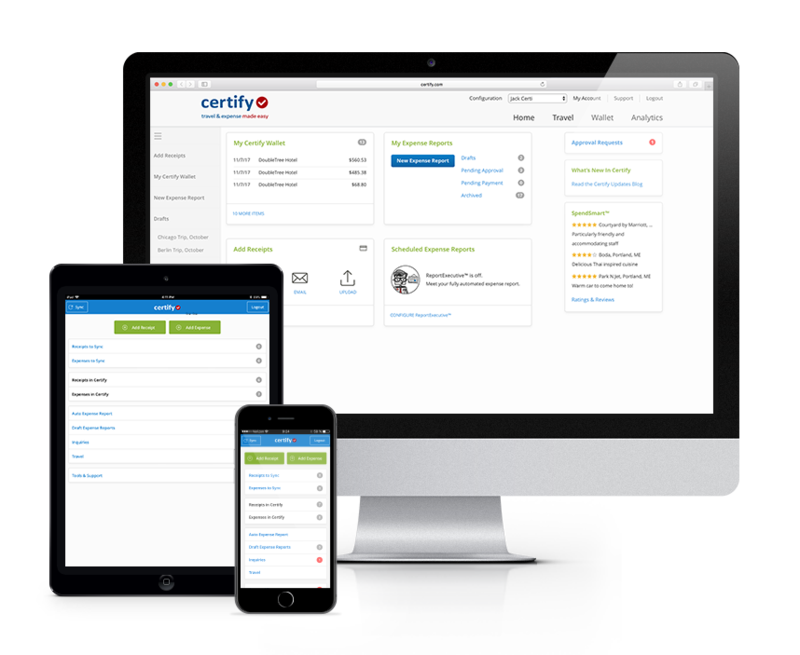 Say “hello” to Certify, your company’s ideal expense report and expense management solution. As employees snap receipts and submit mobile expense reports, your accounting team will enjoy a streamlined process with powerful compliance and reporting tools. Charging your employer for a half-decaffeinated, soy, no-foam latte while on a business trip might not seem to be worth the bother. Certify is seeing more expense report transactions per company than at any time in the past three years. Business travelers are a busy bunch, no doubt. Apparently they're so busy, in fact, that they can't keep their favorite restaurants, airlines, car rental companies and hotels straight. Certify used its data to create a handy infographic to shed light on the most ridiculous items professionals expensed in 2014, and yes, somebody expensed a pair of Christmas-tree pajamas. Pharmacists Mutual Cos., based in Algona, Iowa, uses Certify, which offers a smartphone app and website together. Certify allows employees to snap photos of receipts, fill out a few details and file expense reports from their smartphones. Our clients love Certify. Hear their stories. 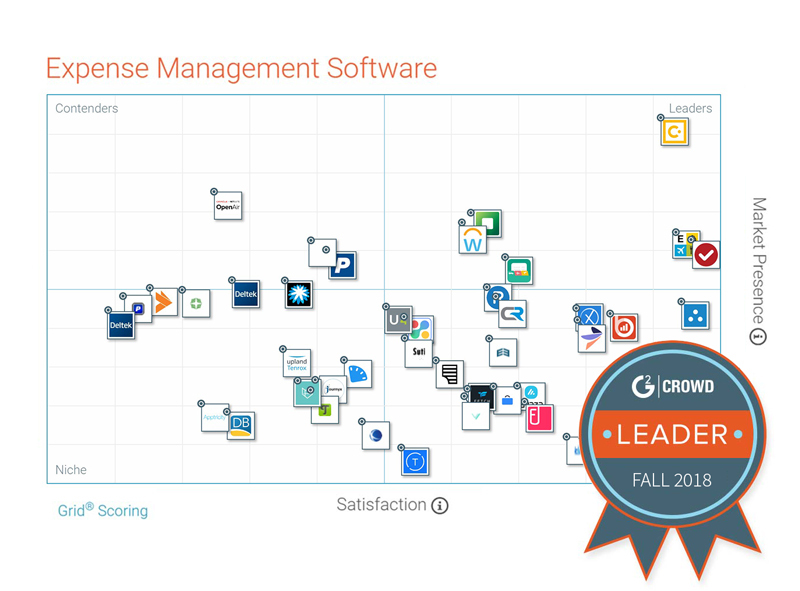 See why Certify is ranked 2018’s #1 expense software for user satisfaction! Enjoy automated expense reports for your company. We build tight integrations to make your life easy!